Mr Jason Njoku, The founder and the CEO of iRoko TV, a Nigerian free and paid online Nollywood movie channel who welcomed his first son with Nollywood actress Mary Remmy on Tuesday July 30th, 2013 is now a happy father. The proud first time dad took to his Twitter page recently to inform fans that his British baby has received his own Nigerian Passport. The United Kingdom-based couple plans to travel to Nigeria in order to introduce their little bundle of joy to family and friends. Omg Mary is now a mom wow ! Congrats baby .Mr njoku my eyes are now on u,you are Mary’s weight times 3 so go easy and gentle on her.am her best fan and will wait to attack u if my baby gets burn. Bless you father u tried. 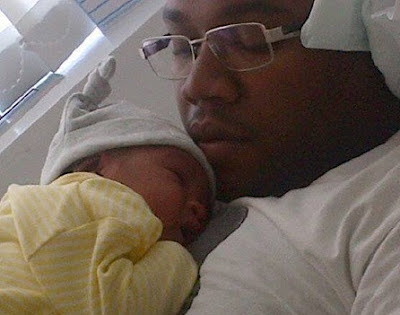 1) Jason Njoku is British born, so he’s son was automatically British at birth! 3) a child born to parents who are neither “settled” nor “British” will only become British once he/she has lived in the UK for the FIRST 10 years of their life. I hope I have educated you here and most importantly saved you from embarrassing yourself in the future on a topic you know absolutely nothing about!